Bigger DVD release date was set for January 15, 2019 and available on Digital HD from Amazon Video and iTunes on January 15, 2019. Where did our obsession with weightlifting begin? One could make a strong argument that it began with the Weider brothers. 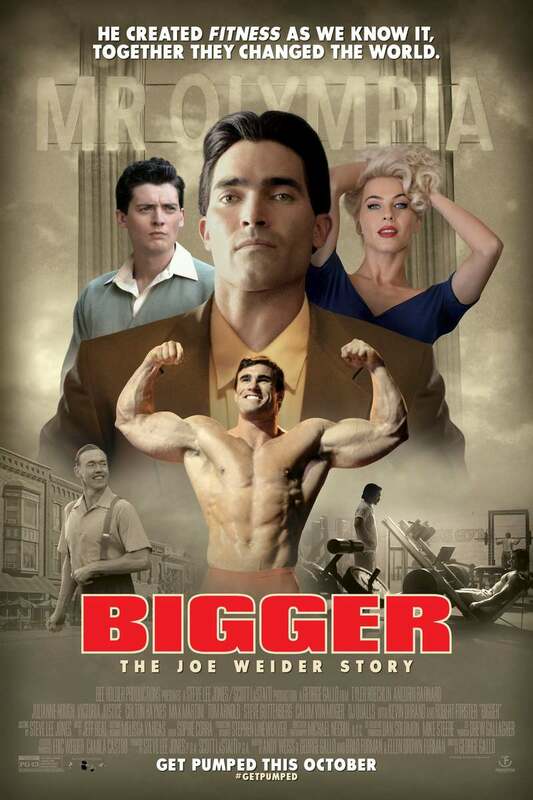 Joe and Ben Weider come from nothing but take their passion for fitness and the physical ideal as fodder to ultimately launch a health-targeted empire (despite many setbacks, Anti-Semitism, and threats of violence along the way). Ultimately, they find a kindred spirit in none other than Arnold Schwarzenegger, then an Austrian bodybuilder whose dedication to bodybuilding and what the brothers are trying to accomplish manages to link all of their fates together. DVDs Release Dates is the best source to find out when does Bigger come out on DVD and Blu-ray. Dates do change so check back often as the release approaches.